Have Some Beers. Tell a Zebra about Your Screenplay. 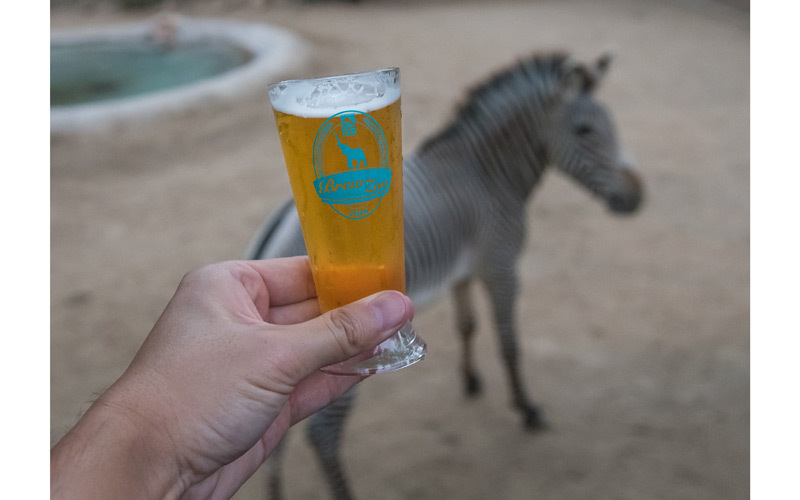 “Brew at the Zoo” is Friday. Standard tickets are $65 ($55 for members) when purchased online, and $75 ($65 for members) at the box office. VIP tickets (available only online) are $125 and include early entry, as well as access to two lounges with hors d’oeuvres. Standard and VIP tickets include a commemorative mug for sampling. Designated driver tickets ($25) include a souvenir cup and unlimited soft drinks. Pub-style food will be available for purchase. You must be 21 or over to attend. RELATED: Which Zoo is Better? The Actual Zoo, or the Abandoned Zoo? Next articleThis Is the Best Free After-Hours Museum Programming in L.A.